Are you looking for something special for the whole family to do during the holiday season? Join us at the Issaquah Depot for the Santa Trolley and a Depot Play Date! 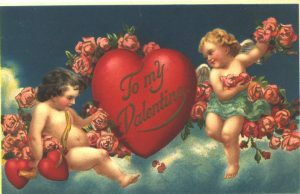 Celebrate St. Valentine's Day with the Issaquah History Museums inside the Depot! 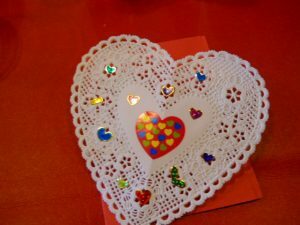 Kids of all ages can admire Valentines from the Museums' collection, talk about how we show others that we care about them, and make their own Valentine. The Issaquah Valley Trolley will also be running from 11 AM until 3 PM, so you can snuggle up with your sweetie for a ride on the rails. Trolley Season Begins! Join us for the season's first trolley rides, along with a Hands-on History that helps kids plant seeds for the spring growing season. 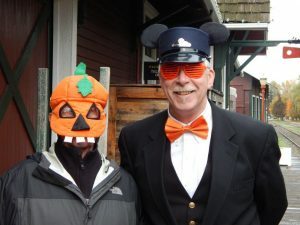 Join us for a spooktacular time at the Issaquah Depot, as we celebrate Halloween! The trolley will be on the tracks and running from 11 AM until 3 PM. 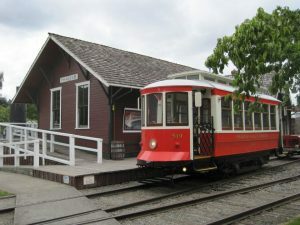 Admission to the Issaquah Depot and Gilman Town Hall is $5 per person and includes trolley rides. Children under 3 as well as Issaquah History Museums members enjoy festivities for free. Halloween Trolley & Hands-on History Day! On Sunday, October 28th at the Depot, kids will have an opportunity to celebrate an old Halloween tradition — decorating their own masks! The admission fee of $5 per person includes a trolley ride and participation in the Hands-on History activity in the Depot, plus admission to the Gilman Town Hall Museum. Children under three and members of the Issaquah History Museums enter free. 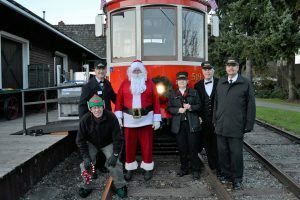 Join us at the Issaquah Depot for the Santa Trolley and a Hands-on History Day! Your visit will include a vintage trolley ride with Santa Claus, who will be on hand to hear your special holiday requests.